The reactions were swift, vocal and emotionally charged last November when the U.S. Preventive Services Task Force uprooted years of firmly entrenched advice that women 40 and older receive annual mammograms to screen for breast cancer. The confrontation over the group's decision to drop women ages 40 to 49 from its screening recommendations and advise women 50 to 74 years old to only undergo routine mammography every two years turned up the rhetoric on a four-decades-old debate over the appropriateness and frequency of disease screening. An attempt by the task force to address that paradox and other concerns related to mammography screening reignited what is likely to become an intensified policy debate as genetic testing, new radiology procedures and other disease-screening technologies are introduced. The issue also is tied to the debate over healthcare reform, amid accusations and fears of care-rationing. Sure to add to the debate is a new government report that documents an explosion in MRI and CT/PET scans. The rate of MRI and CT/PET scans—either ordered or provided—tripled between 1996 and 2007, according to the federal government's 33rd annual report to the president and Congress on the nation's health released last week. Prepared by the Centers for Disease Control and Prevention's National Center for Health Statistics, the report includes a special feature on the use of medical technology, which the agency said rose sharply. For example, for all age groups in 1996, out of 100 visits to physician offices and outpatient departments, 3.9 visits resulted in MRI/CT/PET scans being ordered or provided compared with 12.6 per 100 visits in 2007. And this week, two consulting firms—the Center for Health Transformation and Jackson Healthcare—are scheduled to release a report on the high cost of defensive medicine. To be certain, the disease-screening spectrum is rapidly growing, with proven and experimental tests available for heart disease, stroke risks, a variety of cancers, liver disease and genetic conditions such as Huntington's disease, Down syndrome and some causes of Alzheimer's disease. But determining the appropriateness of broad-population screening for such conditions requires consideration of patient outcomes and cost, and cost consideration is unquestionably the elephant-in-the-room portion of the debate, say those familiar with the issues. Screening costs are hardly minuscule, however. Medicare dished out $546 million in physician and hospital outpatient-services payments in 2008 to cover screening mammograms, according to CMS figures. The agency spent $169.6 million on colonoscopies, which screen for colon cancer, and $63.3 million on prostate cancer screenings—which includes costs for both digital rectal exams and the prostate-specific antigen, or PSA, test. But providers argue that decisions about which screening tests are covered by payers are often the result of political and financial pressures rather than available science. For example, while Medicare covers annual prostate cancer screening, a 17-year, 10-center study conducted by the National Cancer Institute and published in the New England Journal of Medicine in March 2009 found that screening for the PSA led to more diagnosis of the disease but did nothing to reduce the number of deaths caused by prostate cancer. It found that men diagnosed through PSA screening with early-stage prostate cancer underwent the same level of aggressive treatment, which can include surgery and radiation therapy, as men with more advanced cancers but had no difference in survival rates. Conversely, CMS officials decided in May 2009 that Medicare would not cover CT colonography screening—also called virtual colonoscopy—saying evidence was inadequate to conclude the imaging procedure was an appropriate screening test for colon cancer. In studies, the test, which is less invasive than traditional colonoscopy, was able to identify 90% of precancerous polyps found by colonoscopy when the polyps were 10 millimeters or larger. 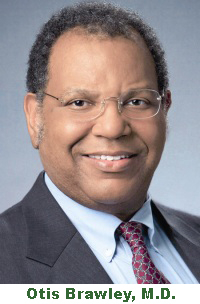 Removal of polyps has been proven to prevent development of colon cancer in patients, says Otis Brawley, M.D., chief medical officer for the American Cancer Society and a professor of hematology, oncology and medicine at Atlanta's Emory University medical school. Advocacy groups argue that CT colonography has the potential to save more lives than traditional colonoscopy because more patients are likely to have the less-invasive annual screenings. “The question is not does it work, but costs,” says Brawley, who believes the agency's coverage decision was flawed. But the Medicare Payment Advisory Commission in its advisory memo to the CMS said it had little confidence, based on evidence, that the test would increase screening rates. In a vote, the commission also said that while it was somewhat confident that CT colonography could provide similar health outcomes as traditional colonoscopy, it was doubtful that colonography would have a similar ratio of cost per life years saved as that of a colonoscopy. Reimbursement rates differ, and it is hard to determine whether CT colonography or traditional colonoscopy is the more expensive procedure. Nevertheless, MedPAC found that colonography isn't cost-effective because when polyps are found, patients have to undergo a second procedure to remove growths that could have been addressed through a single colonoscopy procedure. “MedPAC did say that if you can increase the number of people being screened for colorectal cancer, CT colonography would be cost-effective,” says Judy Yee, M.D., a Veteran's Affairs Department radiologist and chair of the American College of Radiology colon cancer committee. Healthcare policymakers are split over the issue of disease screening for a variety of reasons, including questions about its overall usefulness. “Sometimes the assumption is made that just because you can better detect it means you'll be able to do something of value for that population,” says Karen Schoelles, M.D., director of the Evidence-based Practice Center at the ECRI Institute, a comparative-effectiveness research organization. Schoelles notes that one of the challenges of disease screening is that, even when you have tests that accurately detect and predict conditions, healthcare providers need to consider whether screening for a particular disease meets several usefulness criteria laid out by health-services researchers P.S. Frame and S.J. Carlson in the 1975 article series “A critical review of periodic health screening using specific screening criteria.” The criteria are considered the gold standard for physicians considering screening referrals. Among the requirements are the suggestions that an effective method of treatment must be available for the disease, and that the condition have an asymptomatic phase during which detection and treatment significantly reduce illness severity and possibility of death. The authors also said the occurrence of a particular condition or disease needs to be sufficient enough to justify the cost of screening. But as the U.S. Preventive Services Task Force members discovered, cost as a factor of screening criteria nearly always produces the type of sharp rebuke that came in response to its new breast-cancer screening recommendations. Reviewing nine years of clinical-trial data on mammography screening, the task force last November concluded that while studies show annual screening reduced breast-cancer death rates by 15% in women aged 39 to 49, it also resulted in more false-positive findings and overdiagnosis of existing breast cancers among women in that age group than those aged 50 and older. Young women, as a result, are more likely to undergo unnecessary and costly biopsies and additional imaging tests, the task force found. The group also noted that for every one breast-cancer death prevented among 40- to 49-year-old women, 1,904 patients are screened. By comparison, one death is prevented for every 1,339 women ages 50 to 59 and 377 women ages 60 to 69 who are screened. In response to such findings, the task force advised women with no predisposition to developing breast cancer to delay mammography screening until age 50. It also suggested women aged 50 to 74 only receive mammograms every two years. “If the goal of a national screening program is to reduce mortality in the most efficient manner, then programs that screen biennially from age 50 years to age 69, 74 or 79 years are among the most efficient on the basis of the ratio of benefits to the number of screening examinations,” wrote the task force in its analysis. But even strong proponents of disease screening acknowledge that the question of whether to screen or not to screen has no simple answer. “There are many who believe our system is too focused on treating disease instead of identifying the potential for preventing it,” says David Mongillo, vice president of policy and medical affairs for the American Clinical Laboratory Association. But beyond whether a screening test is appropriate for certain patients, healthcare experts say providers and consumers need to be aware that even accurate screening procedures can come with significant safety concerns. “People need to follow the science and realize that we've had tests that find disease but have not necessarily been helpful,” says the ACS' Brawley. He pointed to routine chest X-ray screening for lung cancer as an illustration of how screening can present dangers to patients. “In the '60s we found that screened patients who underwent diagnostic tests for lung cancer were more likely to die as a result of cutting into the lung to perform biopsy,” Brawley says. He notes that in some cases, the biopsies proved benign, but the patients ended up dying as a result of collapsed lungs, blood clots or some other complication resulting from the procedure. As a result, the medical community stopped recommending routine lung cancer screening. But even with such warnings, the debate over disease screening efficacy, safety and costs shows little signs of being resolved. In fact, it's certain to grow during the next decade with the development of a broader range of genetic tests. Three years ago, Kaiser Permanente launched the Research Program on Genes, Environment and Health, a multiyear project that seeks to collect blood, saliva and DNA samples from roughly 500,000 Kaiser Permanente members in the Northern California region. The samples will be used to study the genetic causes and, ultimately, develop potential screening exams, cures and treatments for common diseases such as diabetes, heart disease, cancer, asthma and Alzheimer's disease. “Genetic and molecular medicine brings a whole new ability to prevent and detect disease,” says Mongillo of the potential for such studies to tease out new methods of screening for disease. But he and others acknowledge that those new tests will face the same challenges and scrutiny that other disease screening procedures have long faced when it comes to determining their usefulness and appropriateness. “Most diseases involve multiple genes interacting with your environment and lifestyle,” says Kaiser Permanente's Selby. As a result, genetic screening would be an unreliable predictor of potential disease and too costly for broad application, Selby says. One area where genetic testing may ultimately prove useful and less controversial is in screening for dominant-gene diseases, where the existence of a single gene is a likely predictor of disease development. Currently, only a handful of genetic tests exist that can screen for dominant-gene diseases. They include Huntington's disease, Down syndrome, and the BRCA 1 and BRCA 2 genes, which are linked to certain forms of breast cancer. But even then, in order to justify routine screening, there needs to be effective treatments that if applied early can make a difference in a patient's outcome, Selby says. Submit a letter to the Modern Physician Reader Forum. Please include your name, title, company and hometown. Modern Physician reserves the right to edit all submissions.